C.202 Serie I (M.M.7948) of 168 Squadriglia (54 Stormo). C.202 Serie III (M.M.7834) of 151 Squadriglia (51 Stormo). C.202 Serie III (M.M.7848) of 378 Squadriglia, 155 Gruppo, 51 Stormo. C.202 of 73 Squadriglia of 9 Gruppo, 4 Stormo "F Baracca". C.202 of 369 Squadriglia of 22 Gruppo Autonomo. MC.202 III серии выпуска (M.M.7806) на заводском аэродроме. 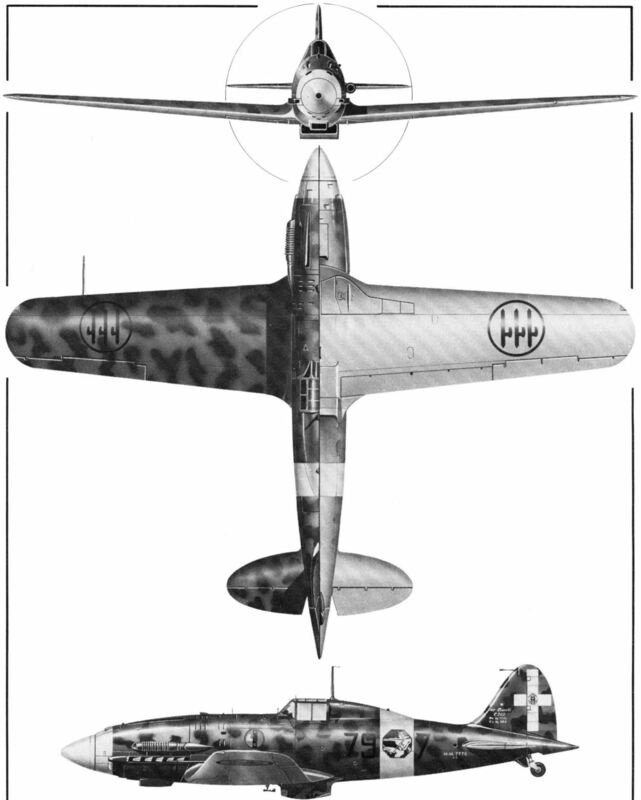 The C.202 A.S. (M.M.7806) was the 88th Macchi-built Serie III aircraft and is seen in an early version of the desert camouflage scheme. 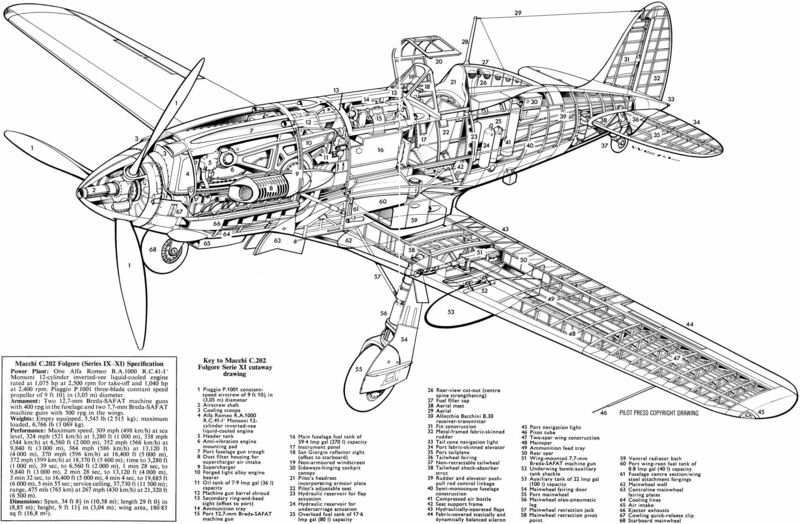 Re-engined with a Daimler-Benz DB 601 engine the basic C.200 Saetta became the C.202 Folgore. It had a top speed of 367 m.p.h. A C.202 Serie VII (M.M.9044), an example of the first production batch to standartise on 7,7-mm wing guns. 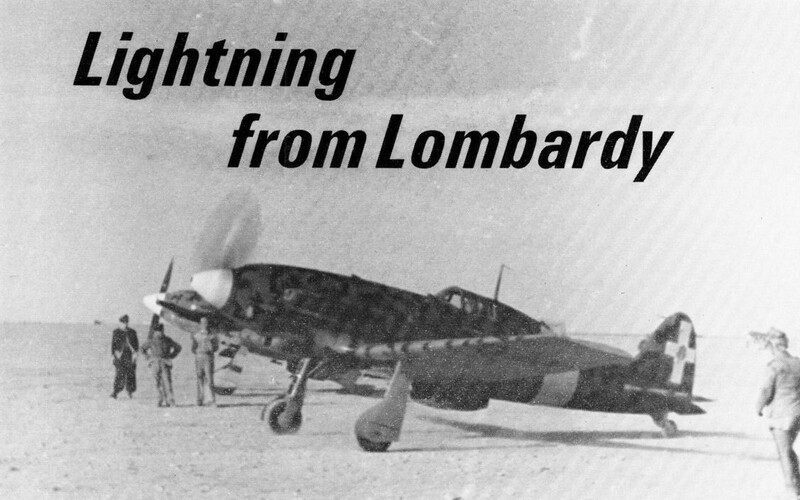 A Macchi C.202 A.S. Folgore (M.M.7770) Serie III of the 79 Squadriglia of the 6 Gruppo (1 Stormo) operating from Ara Fileni, Libya, early 1942. The "Sagittario" emblem of the 1 Stormo was painted in black on the white "combat identification" band.